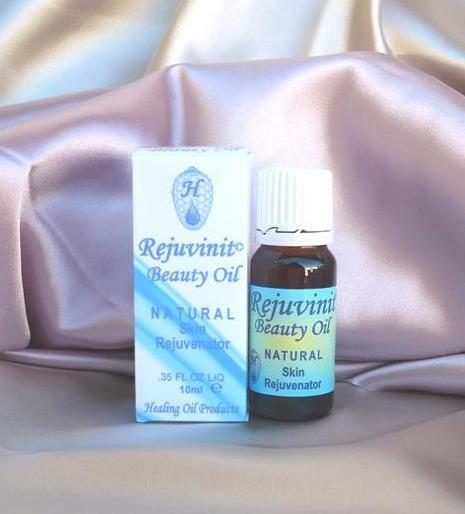 Rejuvinit© Beauty and Skin Oil is a general skin toner and rejuvenator as well as a facial, neck and hand oil. Rejuvinit© is absorbed quickly by the skin, leaving a pleasant, uplifting and relaxing smell. Remarkable results have been noted within five days of application. The older, more damaged skin usually needs a few more days to start showing the rejuvenating effects. Rejuvinit© may assist in balancing skin, increases elasticity, tones dry, greasy, irritated and sensitive skin and is often used to alleviate or negate stretch marks and scars. Sunblock and make-up can be applied within 5 minutes after application of Rejuvinit©. PRECAUTION: Do not use Rejuvinit© products during pregnancy. Traces of Nuts.